Yes, you read that right! Today's giveaway is one I've not been able to discuss with the mothership as she's a Clarins freak and will create fake accounts so she can win this even though she's not very technical. She bought all of the Clarins in the Duty Free on our way to Spain but sure what can you do? She loves it! I usually give her Clarins things to try once I've reviewed them for the blog, but this was the exception and don't tell her. 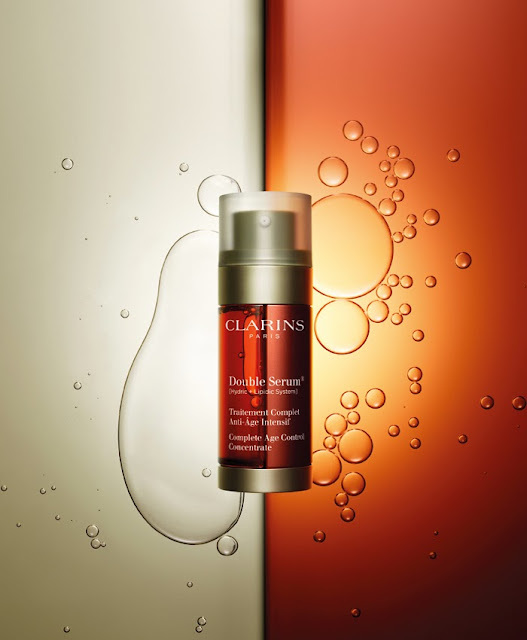 Clarins Double Serum is by far one of my favourite skin care releases from the brand in a long time and it was with a heart that I finished mine a few months ago. And now I get to be insanely jealous of you guys because Clarins have given us a 6 month supply of their Double Serum, worth over €130! I know! So you'd be sorted for ages and if you were feeling generous, might even hand some over to your mothership too. You know the drill by now, enter your details in the widget below and good luck! This made me give a little scream of delight! Its a great competition. Fantastic prize!,love this serum,please let me win! !